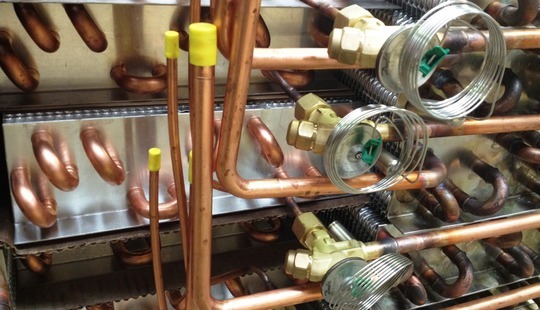 Whether the brief is for comfort cooling, specialist multi-stage DX systems or industrial/commercial projects - we can help by selecting units to meet a wide range of temperatures from HVAC to low temperature freezing applications. An evaporator is any heat transfer surface in which a volatile liquid is vaporised for the purpose of removing heat from a refrigerated space or product. 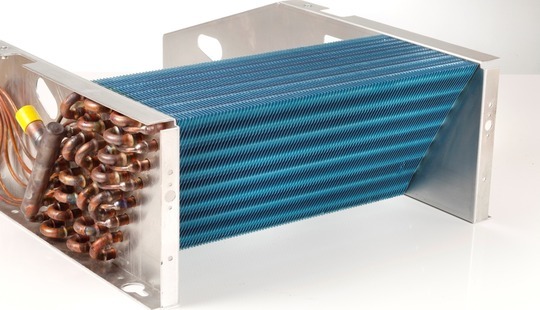 Heat is absorbed from the surrounding area that needs to be cooled by maintaining the evaporator coil at a lower temperature and pressure than the immediate air. As the warm air from the space passes over the evaporator coil, it gives up its heat to the lower temperature liquid/vapour mixture passing through the evaporator. As the liquid refrigerant absorbs this heat it boils changing from the liquid state to the vapour state. 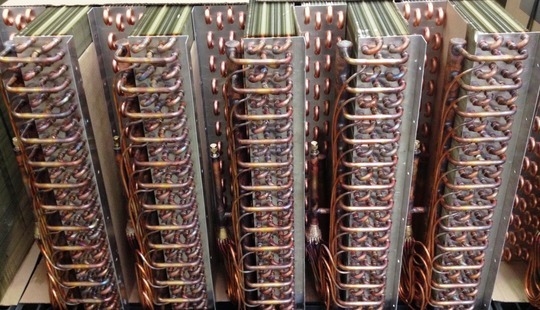 "Beehive can design and manufacture many different types of evaporator coil to meet the vast and varied selection of our customers' requirements, whatever they may be"
Because of the many and diverse applications of mechanical refrigeration, evaporators are manufactured in a wide variety of types, shapes, sizes and designs. 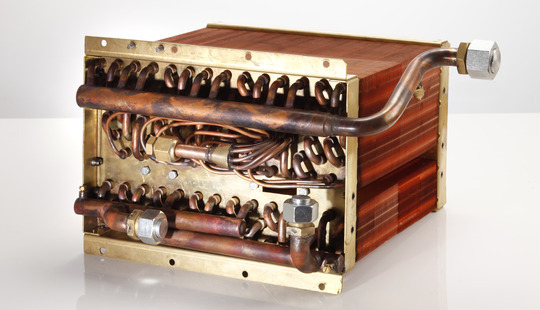 They may also be classified in a number of different ways such as type of construction, methods of air (or liquid) circulation, type of refrigerant control and application. 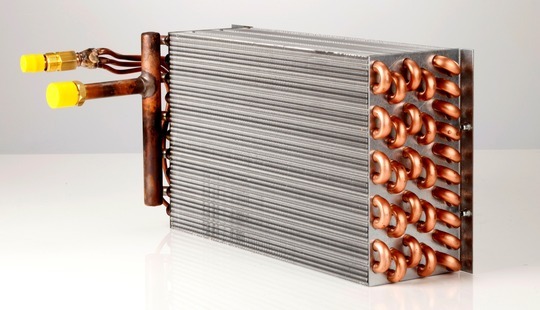 Our evaporator coils can be produced using plain aluminium, vinyl coated, plain copper or hydrophilic coated fin which assists with moisture run-off and has the potential to reduce the length of defrost stages and/or the time in between each defrost. 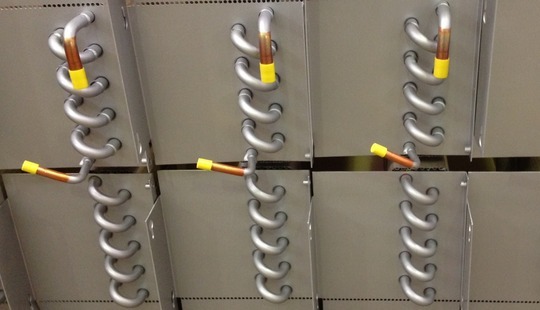 As with any coil, it is of utmost importance to carry out routine check-ups, maintenance and (if needed) replace your older evaporator coils to ensure the best performance from your system. 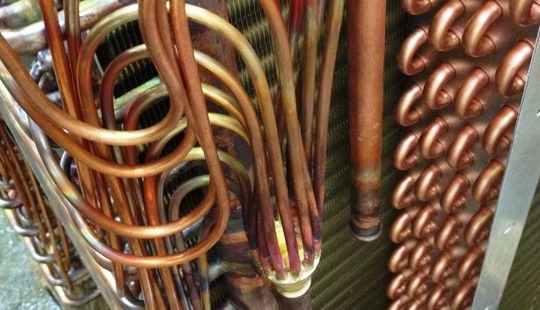 Knowing the state of your evaporator coils will enable you to be pro-active with their maintenance and upkeep.